Here is some information on the history of my employment since leaving school in 1979 at age 17 with just eight O-Levels (I think)! Unfortunately, I have never been out of employment, never been fired and so have been working for more than 30 years solid now with no more than a few weeks off here & there! I suppose it will be up to me to fire myself and just sit here at the beach when I have had enough. I only ever applied for jobs once when I left school. At British Telecom, they said that they would take me on as an apprentice if I didn't pass some exams or other that were required for my offer at Pye TVT. I think I did pass the exams, but I took the job at British Telecom thinking that there would be more opportunity in a larger company full of unqualified people! Searching the Internet for Pye TVT shows a lot of people who used to work there at that time, but I couldn't find the actual company any more, I guess it was part of Philips at some point, it's probably still there at the end of Coldhams Lane in Cambridge. Looks like some of them went on to do some interesting things. Still I was right about BT, I was a Level 1 manager when I was just 26 years old. The person that hired me, Ron Maltby, said that those of us taken on at that time would be lucky to be a Level 1 manager by age 40 if any of us were to make it at all! Click here for my current resume and let me know if you have anything interesting for me to do in the telecommunications software line. Click here for my LinkedIn profile. I started work at British Telecom, or Post Office Telecommunications as it was at the time, in August of 1979. Click here to see my first pay slip! I completed the three year apprenticeship program and became an exchange technician in 1982 working on construction of new exchanges. In those days the equipment was mostly Strowger, TXE2 & TXE4. In the mid 1980's I started to work on System X as a Technical Officer and by the late 1980's I was working on Ericsson AXE10 exchanges which BT used to refer to as System Y before they knew it was going to be AXE10. My final position in BT was as a Level 1 manager working in AXE10 product support. This was a team of managers working out of an office in London. At the time, I was living in Stoke-on-Trent in England and I would travel to London on the train each day. We would deal with all of the top issues in BT at the time relating to AXE10 including providing the last level of 24 hour technical support. If need be we would contact Ericsson for further support and manage any big outages of which there were many! Working with AXE10 at a high level in BT brought me into contact with many Ericsson employees and I soon found that there was opportunity there. So in April of 1991 after working in London for two years, I accepted a position with Ericsson at their Burgess Hill facility near to Brighton on the south coast of England. I worked on the existing AS13 and then the newer AS22 local exchange applications doing software product support for the first year. After that I started working on Ericsson's latest Intelligent Network application that they called INph2. It was Ericsson's first IN application that had the Service Control Point and the Service Switching Point running on two separate AXE10 systems connected by SS7 TCAP. I worked in Holland for a few months where it was being developed and did some function testing to get experience with it and then continued with system test back in the UK at Ericsson's Daten Park facility in Warrington. By 1993, the UK version of the application called AS36 was ready for installation and Ericsson sold it to a number of operators including BT International. For six months from 1993 into 1994 I was assigned to work at BT's Atlanta network management center assisting BT with setting up and operating there global intelligent network that they named Cyclone and the operating company became known as Concert. After returning to England in 1994 and continuing to work with AS36 with various operators, in 1995 I accepted a 2 year contract to work for Ericsson in Richardson TX, again with AS36. 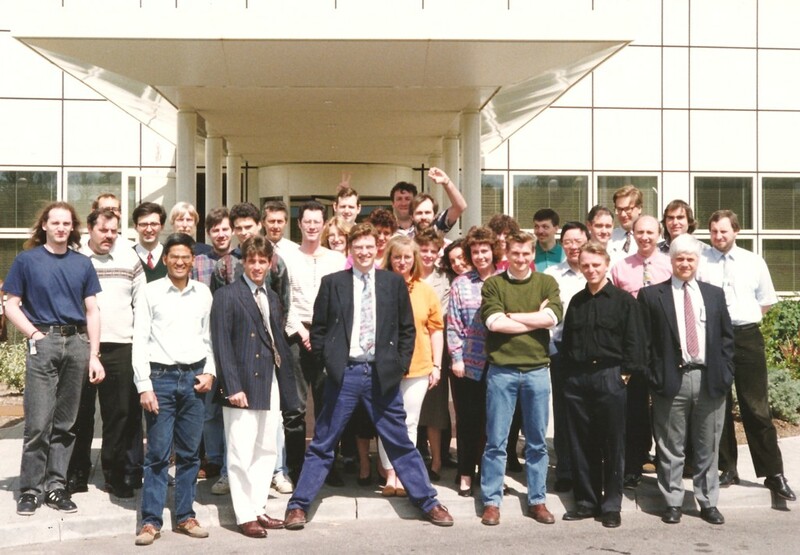 Click here to see a picture of the team from the famous and now defunked Ericsson Telecommunications Centre in Burgess Hill England. After working in Richardson with Ericsson for about six months doing front line AXE10 customer support for MCI, MFS & Facilicom, one day I received a call from a guy called Pat Walsh working at MFS, one of my regular callers, who said he was leaving MFS to go and start work with a new start-up company to be called Lightspeed International. I never thought much more about it, but a few months later he called again to offer me a job writing ISDN & ISUP protocols for a new protocol converter that they were going to build. 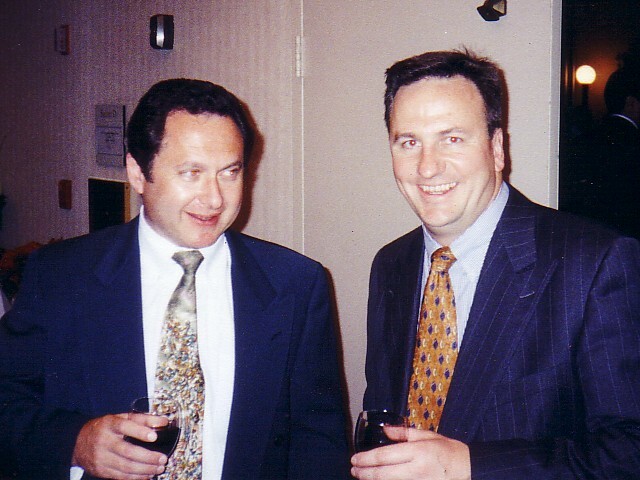 I asked my friend, Rob Whent that I used to work with at BT who was also in Richardson with Ericsson at the time, for some advice on what I should do. The first word's out of his mouth were "NO, you don't ever wanna do that, it's too risky". So as you can guess, I immediately ignored that and took the offer! 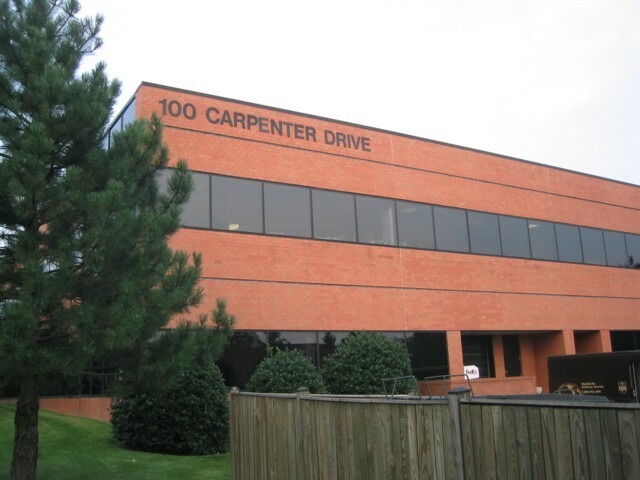 I moved to Virginia and started with Lightspeed in October of 1996 at their office in Sterling. We had written the first ISDN protocol in our newly invented Message Definition Language (MDL) and had the first calls working in our lab by Christmas of 1996! The product we built became known as the TransPath 2000 protocol converter. Lightspeed was started by Lev Volftsun, Ian Landy and Allen Anderson. 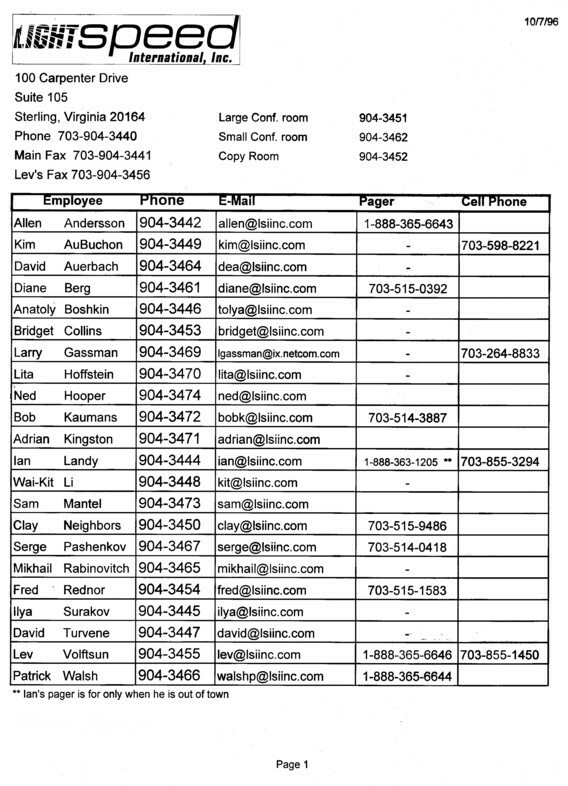 Click here to see a picture of the team and the original phone list for the entire company of 22 people! We continued to build our library of telecommunications protocols through 1997 and by the end of that year, Cisco Systems had agreed to acquire Lightspeed for $160 million! Lev still manages startups for venture capital companies. When Cisco Systems finalized the purchase of Lightspeed in 1998, I became an incumbent part of the Internet Generation. We continued to work with the Message Definition Language and the writing of more & more protocols. The original TransPath 2000 product became the Cisco SC2200 Signaling Controller and more recently has been named the Cisco PGW 2200. As luck would have it, one of the largest customers for the PGW is British Telecom with Abbey National in the UK being the largest actual user of the services provided with our equipment. If you ever call Abbey National, you may well be speaking over IP connections setup with the PGW using original program code written by me. More recently the smaller EGW is now working in London! As Cisco continues to grow and acquire more companies the projects & products that we work on change and now I am working on the BTS10200 softswitch doing ISUP protocol work yet again with the same MDL tools from the PGW. Along the way, Cisco helped us to document and finalize the patent applications for the inventions that we had made in Lightspeed. In general we all worked on some aspect of each of them and below you can see two in particular that I had an active part in. The feature transparency is my favorite one although the idea never made it into a production system. Most recently I have been invited to join APPTrigger (previously Carrius Technologies), a software company based in Richardson Texas that provides an Application Session Controller to evolving telecommunications networks. This is another startup company and I am again working with two of my favorite software engineers, Fred Rednor and Anatoly Boshkin both of whom were previously working with me at Lightspeed and Cisco. Lev Volftsun previous CEO of Lightspeed is the chairman of the board of this company. According to the phone list I was given on my first day, I am currently the 53rd employee. I worked on CCXML and INSCS to interwork SIP IM-SSF to legacy INAP and CAMEL networks. Unfortunately the board decided that the run rate was too high in the recession of 2008 and so now most of the company has been laidoff. Lucky me at last!